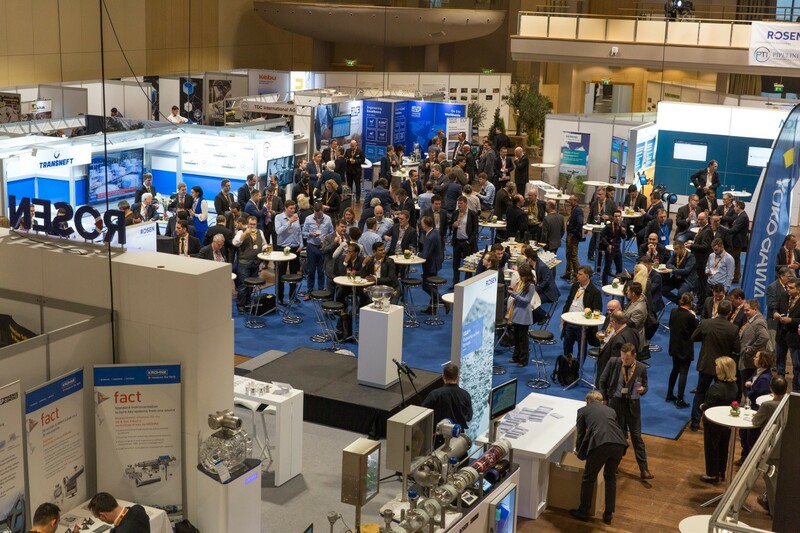 Berlin, 15 March 2018 - From 12 -14 March 2018 the 13th Pipeline Technology Conference (ptc) and & 2nd Pipe and Sewer Conference (pasc) have attracted more attendees than ever before: 657 delegates from 54 different nations, delegations from 69 different pipeline operators as well as 73 exhibitors have joined the event. On his turn, Dr. Klaus Ritter, President of EITEP Institute, mentioned in his welcome speech that ptc is “proud that the conference was highly international from the beginning and that technical safety as well as operational efficiency were focal topics”. The keynote speech by Prof. Dr. Gerald Linke, Chairman of the Board of Directors, DVGW - German Technical and Scientific Association for Gas and Water on “Safety first..for a second life” highlighted that “life cycle extension” (second life for pipelines) is possible if one follows design, operation, preparedness etc. from a high safety level. Attendees have benefited from 2 dynamic panel discussions on “pipeline safety” and “public awareness”, a robust program of operator's, constructor's as well as technology and service provider’s presentations, 18 informational technical sessions with 100 presentations covering all aspects of life-time extension strategies for ageing and future pipeline projects and several networking programs as the traditional “Get-Together” and special “Reception-Old Berlin”. As usual, the platform has targeted key areas of all developments in the onshore and offshore pipeline industry – covering planning & design, construction, operation and maintenance. “Qualification and Recruitment” has been also a topic in both conference and exhibition. Two seminars on “Inline Inspection” and “Geohazards in Pipeline Engineering” have concluded the program on the following two days. Additionally two workshops have been fruitfully organized by the companies Krohne and DNV GL. The joint conference and exhibition provided an unequalled occasion to network on a personal basis. 73 exhibiting companies from all over the world have presented their solutions in the ptc exhibition hall where all conference breaks have taken place. A highlight of the exhibition was the presence of eye-catching stands from companies such as Pipeline Transport Institute (Transneft) and Rosen Group. The winner photo of the ptc photo contest under the motto “What is it like to work in the pipeline industry?” has been awarded subsequent to the Plenary Session "Remarkable Projects". Winners of the competition were Sonatrach Algeria and the coating company Denso GmbH and Denys. Results of the ptc will be published for free on the event website and in special issues of the Pipeline Technology Journal (ptj).